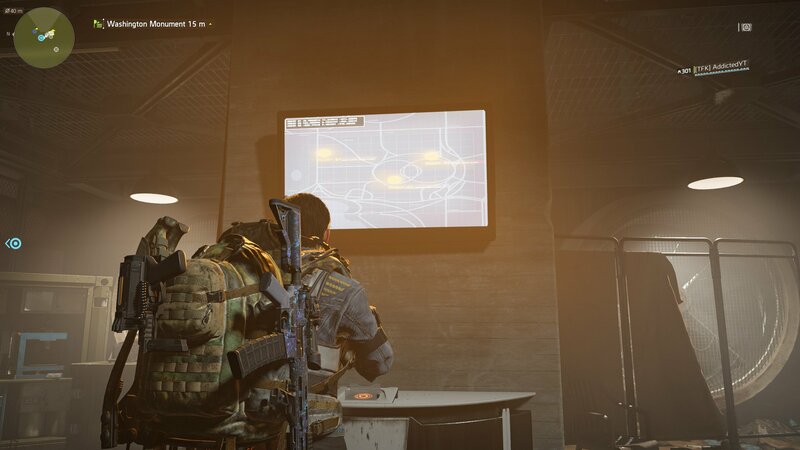 Show off online by collecting the 12 Hunter Masks hidden in The Division 2. 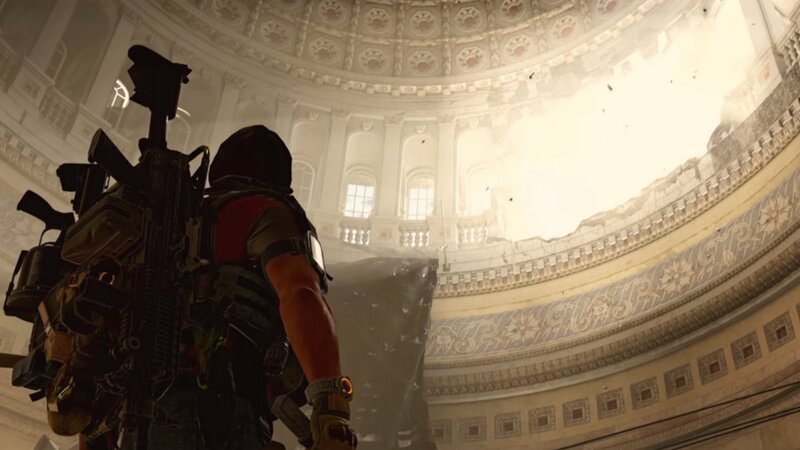 One of the biggest tasks you can take upon yourself in The Division 2’s endgame is to track down all 12 Hunter Masks. 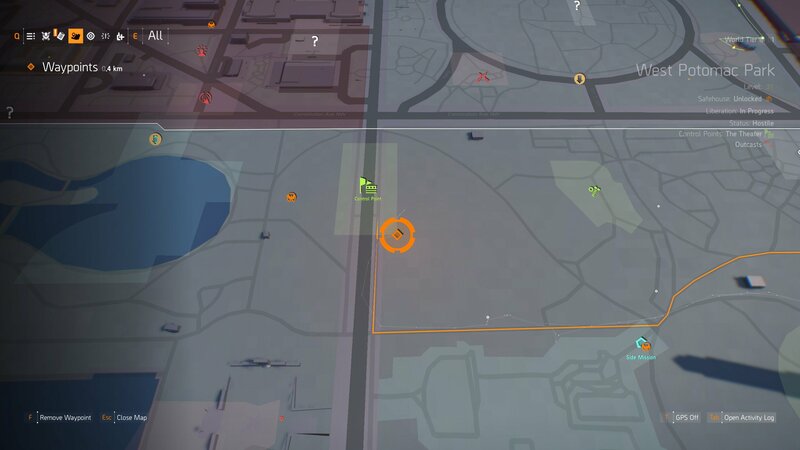 These cosmetic items are well hidden and hard work to obtain, but if you want to show off there’s no better way than learning how to get the 12 Hunter Masks in The Division 2. Before we begin, it’s worth noting that the Hunters you’ll be chasing to grab their masks are all level 35, so you probably shouldn’t consider tackling this particular task until you’ve made it to the max level of 30. There are some pretty tough fights involved in grabbing these masks, so you need to make sure your Gear Score is high too. 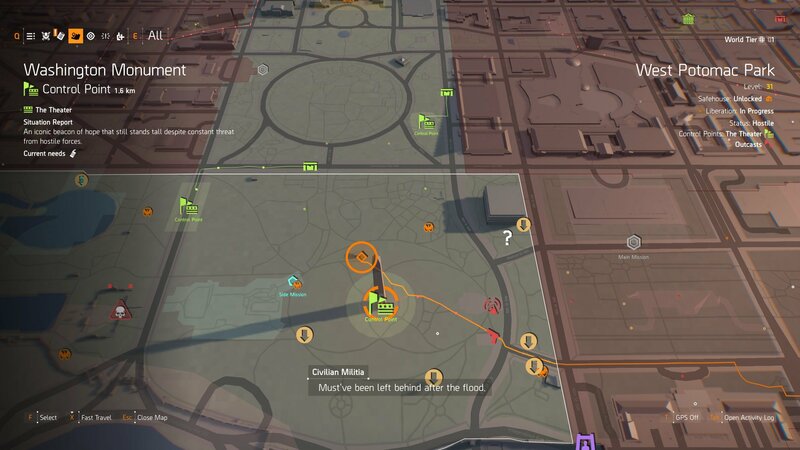 It hasn’t been confirmed, but many players have noted that they were only able to complete the Hunter objectives at night, so we recommend attempting each of the tasks below during the night (after 19:00) to be certain you’ll get them. With those caveats out of the way, let’s run through how to get the 12 Hunter Masks. The Ghost and Spectre Masks will likely be the toughest of all the 12 Hunter Masks to obtain, and that’s largely because of the objectives you need to complete. The Ghost and Spectre masks task you with completing some particularly vexing puzzles, which we’ll take you through below. Start by reclaiming the Washington Monument control point. From here, take the elevator down to the Supply Room. There’s a screen in here you can use to receive three new coordinates. Visit each spot and you’ll find a grave. Use the salute emote next to each to progress to the next stage. If you’ve used the emote correctly you should see some static and distortion of your UI, so watch your minimap while performing the emote to be sure it counted. 1. The first point to visit isn’t too far from the Washington Monument. You’ll find the grave as a mound of dirt near some shipping containers southeast of the control point that’s northwest of the Monument. 2. The second grave is next to the path northeast of the Washington Monument. It should be just off the main route, so keep your eyes open while you’re near the marked location. 3. The final location is southwest of the Washington Monument. Follow the path here and you’ll see a series of bushes between the trail and the monument. You’ll find the grave between them, looking toward the monument. 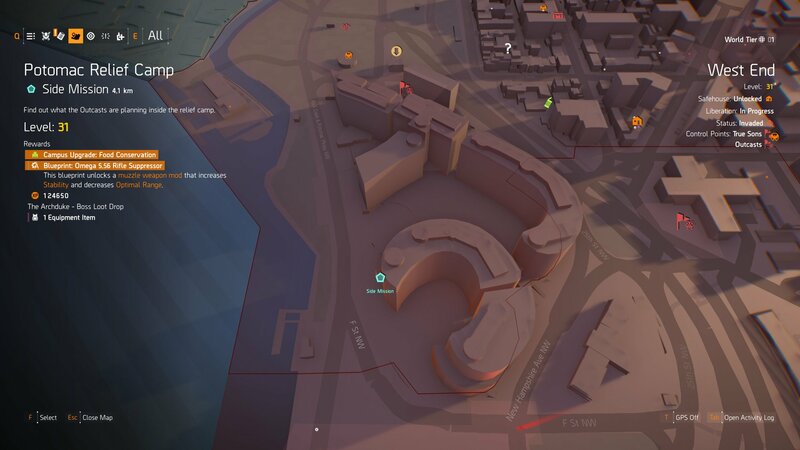 Once you’ve visited and saluted them all, return to the Supply Room at the Monument and if you interact with the screen you should see the Division logo show up in orange to let you know this stage is complete. 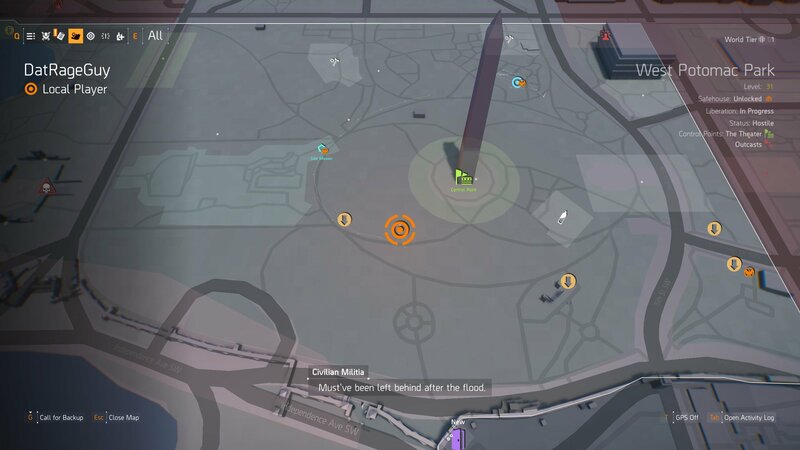 Continuing at night, you now need to head to the CERA area marked on your map, it should be northwest of the Washington Monument. You’re looking for the Monument Field Hospital in the General Care area. Inside, head to the Missing Persons section as it’s here that the first Hunter can spawn. With the Ghost Mask secure, you can move on to the Spectre Mask. Just as before, you’ll need to kill this Hunter in a single hit to receive the drop, but the bad news is that there’s no guaranteed spawn point for him. 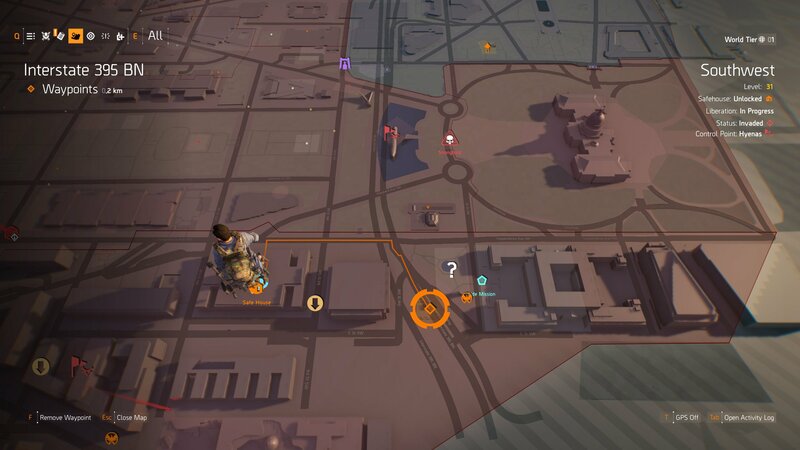 The Spectre Hunter will appear on top of one of the buildings around the Washington Monument. The most common is the building to the northwest, but it could be one of the others instead. Explore near to them and keep an eye out for the static effect on your UI. If that flashes up, it means he’s close. Again, if you fail here you’ll need to repeat the steps during the next night to have a chance to take him down again. Next up is the Ghoul Mask, and this is another multi-stage process. 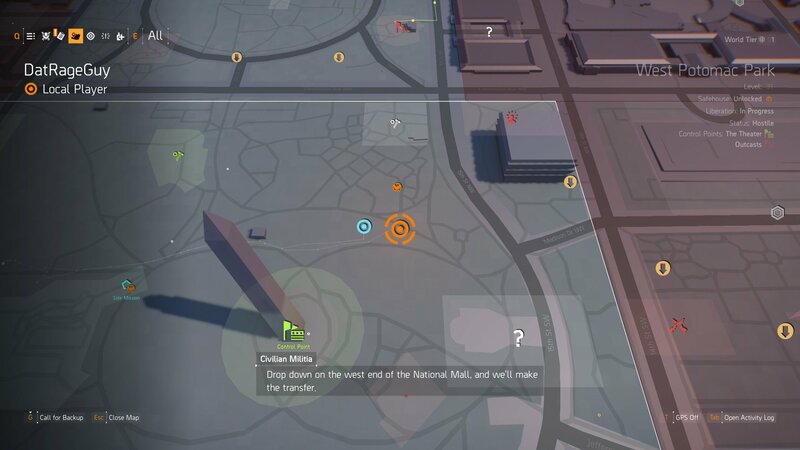 To start, travel to the sewer entrance north of the Lincoln Memorial mission (marked on the map above). Travel through the sewers until you reach a safe-house area, in it you’ll find a laptop. When you use it, a light will shine onto the map on the wall, marking two locations. 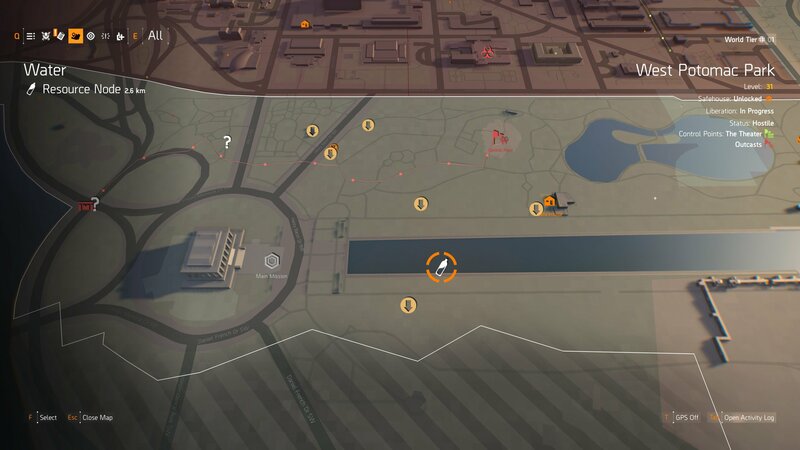 The first is your current spot, with the moon shape indicating this is a nighttime mission. The next is the spot in which you’ll find the hunter. Travel to the position marked and keep an eye out for a flashing light from one of the watchtowers. Shoot the light and it’ll spawn the Hunter in a puff of smoke. Fight and kill him to earn the Ghoul Mask as your reward. To start the path for these two masks, travel to the waterfront on the West End. There’s a building here which held the Potomac Relief Camp mission, it’s shaped a bit like a crescent moon. Enter it and find the empty swimming pool. 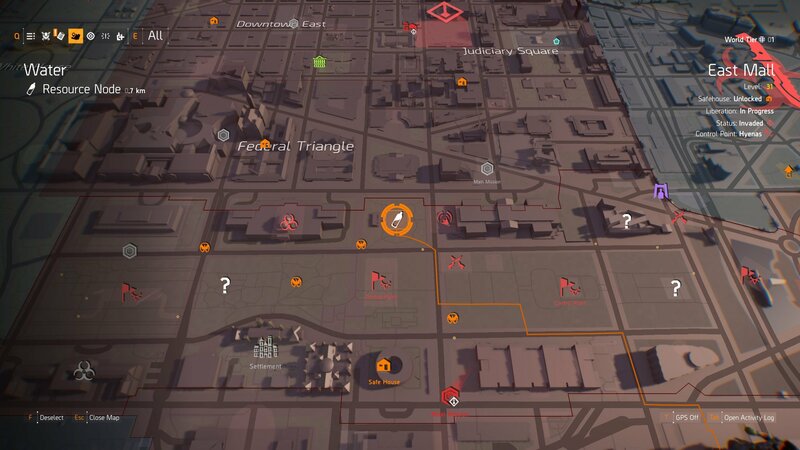 Next up is the Wraith Mask, which asks you to head to the Southwest district on the east side of the city. Make your way to the monument wall here and look for the light shining onto it. Shoot out the light, then walk behind the light so that you’re out of the fountain that’s in front of the wall. Now salute the wall with an emote to spawn the Wraith Hunter. Eliminate them to add the Mask to your growing stash. You’re now onto the Crimson Mask, and this time you’re heading to Judiciary Square’s western edge. The spot you’re after is a courtyard west of the District Union Arena Stronghold. There should be two doors here with a mirror between them. Enter the left one and look for the laptop in the next room. Interact with the laptop, then return to the courtyard and enter the door on the other side. 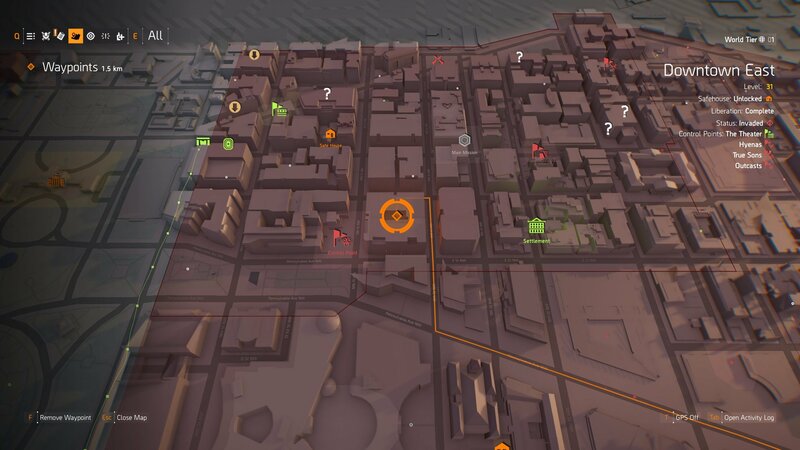 You’ll find a phone here which, when used, spawns the Hunter to spawn in a cloud of smoke outside. Fight and kill them to get the Crimson Mask. The next set of Masks are a real challenge as you’ll be taking on four Hunters at once. You should absolutely bring some buddies along for the ride here as this is a seriously tough fight. 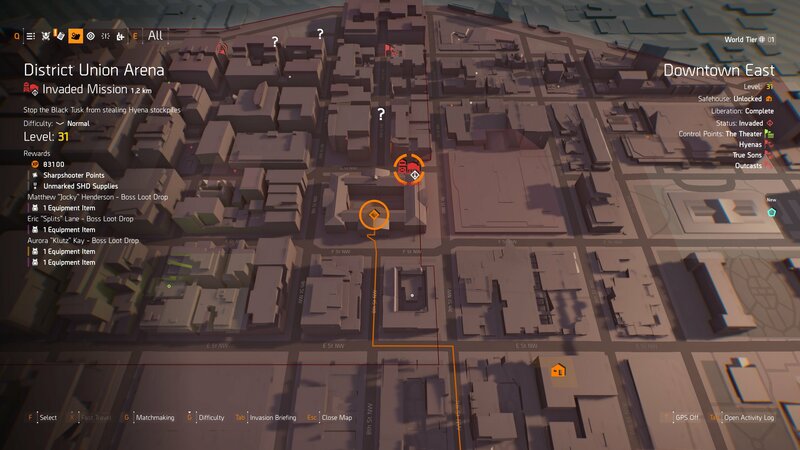 To start the encounter, make your way to the spot on the map above and find the Christmas tree. From here, travel up the stairs into the office where you’ll find a level. Pull it, then run around the tree outside to spawn all of the Hunters. Make sure you’re fully prepared, as you’ve got some work on your hands. Finally, we come to the Demon Mask. 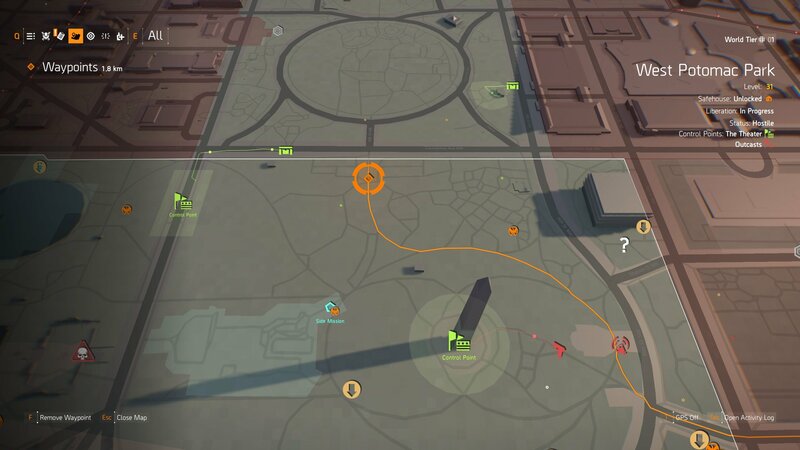 To grab this final cosmetic, make your way east from the Demolition Site control point to the shopping center. Travel down the escalators inside and keep going until you find a small grassy patch. There are a number of windows ahead of you with targets inside them. Shoot them from top to bottom to summon the final Hunter. Take them down to complete the full set with the Demon Mask. 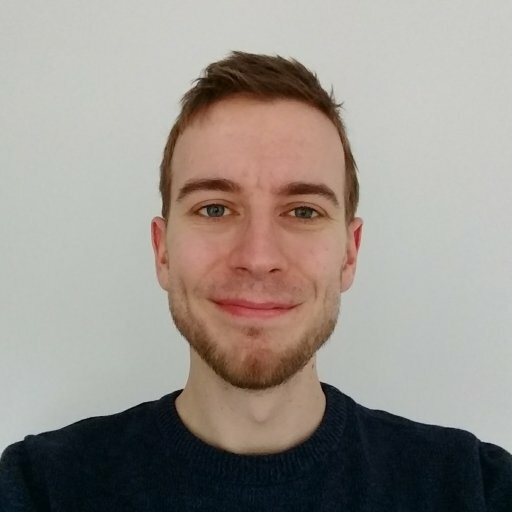 Congratulations on learning how to get the 12 Hunter Masks in The Division 2! 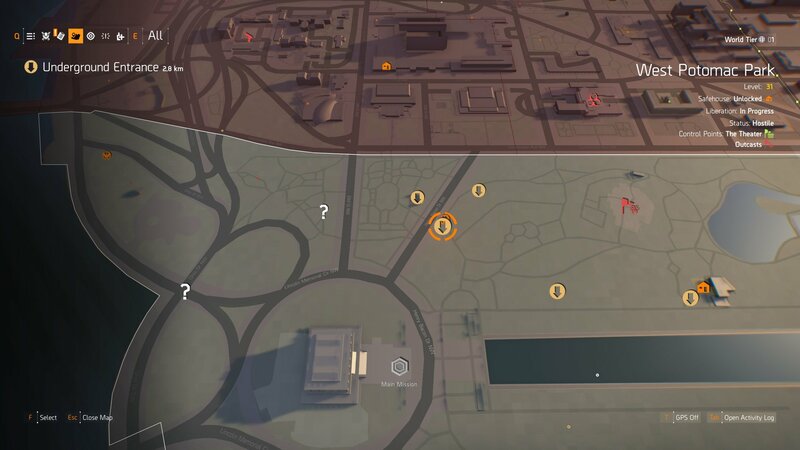 That was a long task, but if you’re hungry for more tips and tricks, take a look at the rest of our guides and content for The Division 2.